Sebastian Hamilton is Group Editor of Irish Mail Newspapers, the country’s fastest-growing media group. As well as editing the Irish Daily Mail, he oversees group editorial strategy and works with MailOnline, the world’s biggest English-language news website. He is a director of DMG Media Ireland, a subsidiary of DMGT. Sebastian was educated at Cambridge University and has 20 years’ experience on national newspapers in Ireland and the UK. 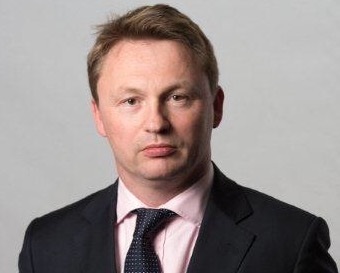 A former political journalist at The Sunday Times and at the Scotsman Group, he held executive roles at The Sunday Telegraph and Mail on Sunday before joining the Irish Daily Mail in Dublin in 2006. In 2009 he became Editor of the Irish Mail on Sunday, overseeing investigations such as Ivor Callely’s fake mobile phone expenses and the infamous Quinn video, which won multiple national newspaper awards. Since his appointment as Group Editor in 2013, Sebastian has also helped launch Evoke.ie, a standalone lifestyle website run by DMG Media Ireland, while transitioning the Mail newspaper titles to face the challenges of the digital age.